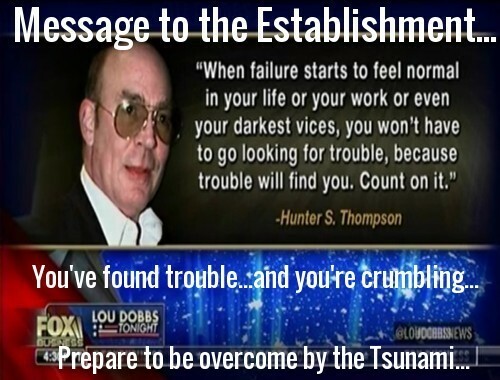 The 'Revolution' Has Begun In America And The Establishment Is Crashing, Crumbling And Burning - We Should All Be Prepared For A Major, 11th Hour, False Flag Attack! 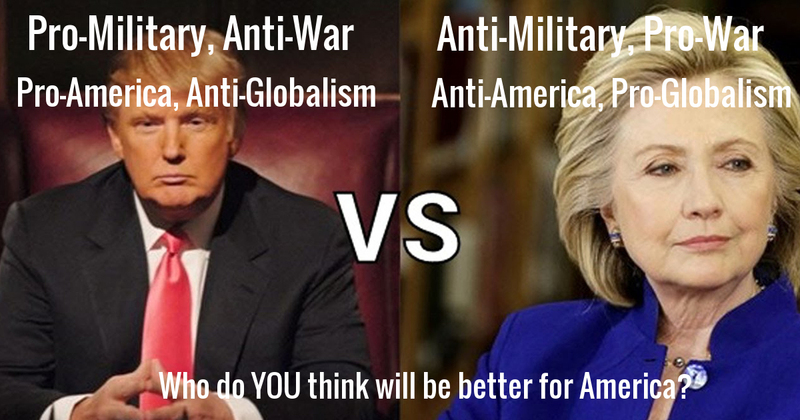 For those of us who have long watched what US politics have become, the total implosion of the neocons to the level that they have now endorsed Hillary Clinton, who some might have called their 'polar opposite', proves to us what we have long known: the false left/right paradigm is just that and it's rapidly disintegrating before our very eyes. With neo-con stalwarts putting out a letter that they'd rather vote for Hillary Clinton than lend their support to fellow Republican Donald Trump, we cleary see long held beliefs that the mainstream news media has been reporting as 'fact' have really been complete and utter BS and we the American people the long-time victims of the BS-slinging. With mainstream Republicans such as Mitt Romney now calling on other Republicans to shun Donald Trump (just wait until Romney starts telling Republicans to vote for Clinton! ), we clearly see the truth in the words of former Republican governor Mike Huckabee who recently warned of Donald Trump's success: "the Republican establishment should be glad it’s being achieved with ballots not bullets”. Not even the Democratic party is immune to the political revolution now taking place across America, a revolution where corruption within the Democratic Party runs rampant. Actually being able to hear such a warning as that given by Democratic Representative Tulsi Gabbard, who endorsed Bernie Sanders despite being warned by 'a lot of people' that doing so would be dangerous, shows us once again how the Democratic party has been corrupted, absolutely. Has America suddenly become a banana republic where politicians are backstabbed or worse, simply for voicing opinions? All we need to do is remember that Mr. Obama can legally kill any American via the NDAA (just ask Antonin Scalia) and this corrupt bunch in Washington DC is no exception. Imagine having a Hillary Clinton in power in America who is now threatening one of our bravest young Congress people, someone who has the courage to stand against her. Corruption will dip to every level imaginable to keep it's hold on power....including murder. 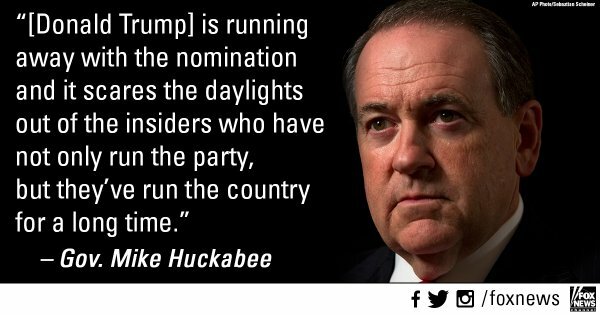 While the establishment is 'bed wetting' over Trump, as Huckabee also so aptly pointed out, the establishment doesn't realize that they are the reason that Americans are so mad that they are ready for revolution and voting in huge numbers against said 'status quo'. Thank God Americans can vote out the bums; if we couldn't, there'd probably be a 'blood letting' every several years that the criminals masquerading as politicians tried to keep themselves in power. Will Americans be able to take their 'revolution' to the next level and kick out the bums who have been working so hard to enslave Americans and destroy America for the past many years or will this 'revolution', too, be put down with the (s)election of Hillary Clinton or one of the other bums they throw in our faces as our next savior? Or will 2016 be the year that America finally goes 'full-scale dictatorship belly-up' as the economy comes crashing down, World War 3 explodes in our faces upon US soil, and 'the rule of law' is completely thrown out the window, perhaps for the rest of time? Nobody said the fall of the American empire would be easy, and with the election of Donald Trump for president, America might just be able to stave off 'the end of America'. We don't think the globalists want that though...and they likely won't allow it...as we see them busy, right now plotting, in their attempt to shift the momentum that has become the Trump tsunami. The Democrats of Hillary Clinton and Republicans of Neocon lore have completely exposed themselves as being one and on 'the same team'... the team that clearly hates America and will try absolutely anything to stay in power. Anything. When the mainstream establishment finally crumbles, both the Democratic and Republican party, America wins. America is far too big and far too strong to allow a cartel of criminals masquerading as politicians to bring us down. As Huckabee tells us here in the 1st video, the 'revolution' has begun. The establishment long working to enslave Americans while the globalists cull the world's population down to 500 million won't even realize what hit them when the 'tsunami' crashes upon them....unless they can pull off another false flag attack upon us first. In the 2nd video, Lou Dobbs gives us one of the most honest takes we've seen on the Donald Trump run for president. Unlike most of the MSM-devils who have sold their souls to satan and are reporting lies in an attempt to end the presidential candidacy of Trump, Dobbs gives us facts, and rips apart the establishment in the process. 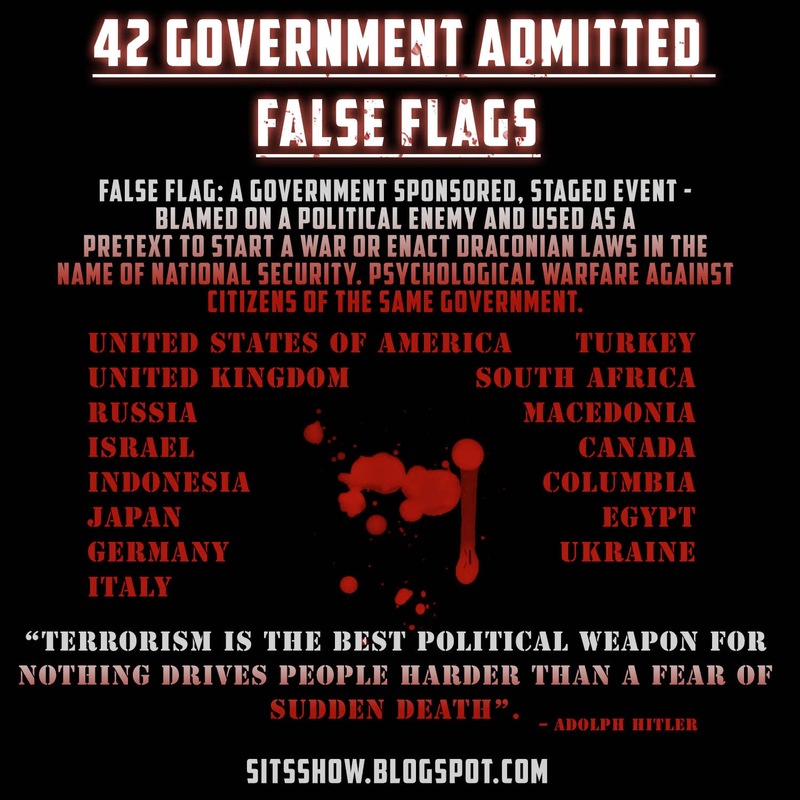 As we have long believed, when the elitist criminals finally know they will lose all control in America, they will likely bring on a massive false flag attack of one variety or another that will bring America great pain. As we learn in the final video below, that moment may not be far off as the nwo begins to lose control and the establishment crashes to its knees. As our videographer tells us, do we really think that the 'nwo' will allow all of their plans over the past many years for a 'new America', a 'neutered' America, a weak and destroyed America, to be ruined by the presidency of Donald Trump? What our videographer proposes here is almost beyond our imagination. We pray videographer Wayne Levi Price is wrong in his summary.